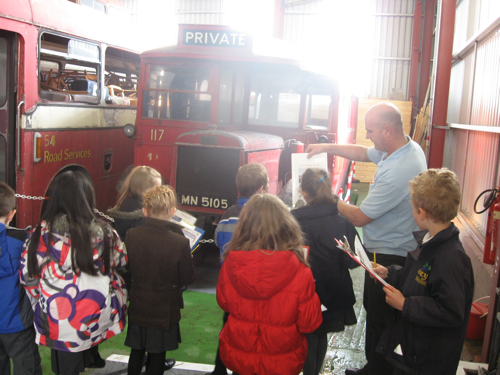 Transport subsidies are available from DEC to help pay for your transport to and from the museum. Contact Jo Gibson at DEC for more information. You may also like to use the electric tram if you are coming from Douglas, asking your bus/coach to pick you up from the tram station. 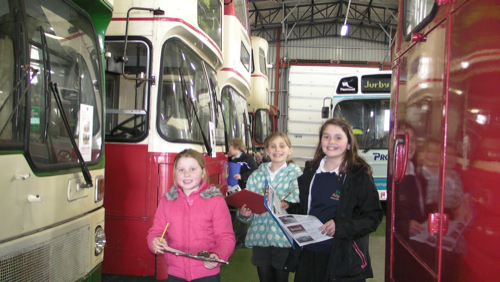 Don't forget there are two transport Museums at Jurby! Look for the big yellow and red sign! • Warm clothes! Its often colder in the museum than it is outside - even on a sunny day, so don't be fooled! You can always take a layer off in the unlikely event you are too warm! ​• Clipboards and pencils are also useful if you are planning on completing worksheets. We don't have these at the Musuem. • First aid kit. We do have first aid kits at the museum but we advise you also bring your own. The Museum opens at 10am and shuts at 4pm. 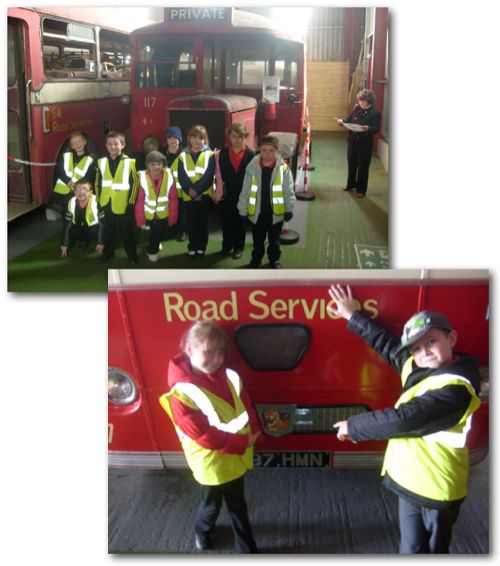 We suggest an hour and a half is more than enough time for a KS1 visit. We would suggest no more than 2 hours per session for KS2 children depending what the focus is. Some KS2 visits have stayed all day to complete filming projects, but for a normal visit 2 hours max is advised. There are 2 toilets - one boys and one girls. There is only one toilet in each. These are easily accessible by wheelchairs. There is a small shop that sells souvenirs and also some refrigerated drinks and snacks and also a hot drink machine. ​Members of the museum will be available so that questions can be asked about any of the exhibits. Please let us know when you book if you would like to stay for lunch. If it is a nice day, there is room outside by the side of the Museum for the children to sit. We can provide bin bags. 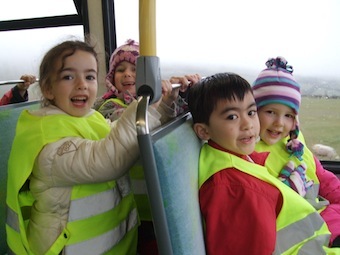 If the weather is not great the children are able to eat their lunch on one of the tram or bus exhibits. We kindly ask that teachers and helpers ensure that all rubbish is collected up in the bin bags provided and the exhibits are left as you find them.